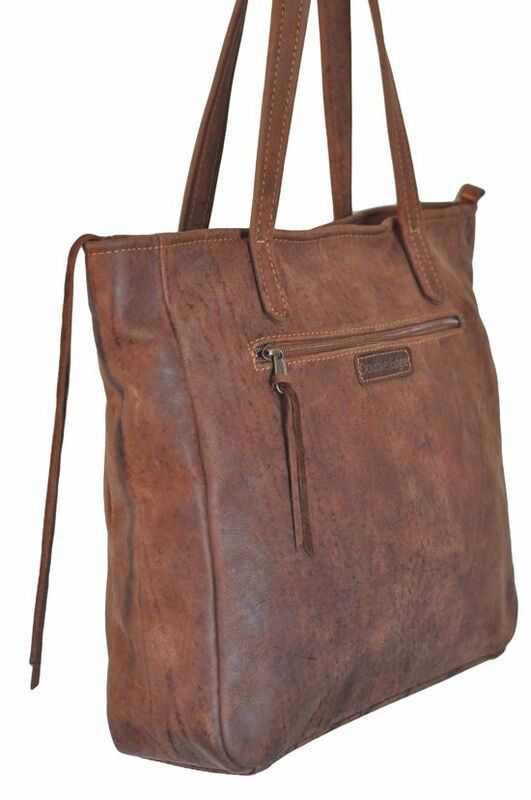 Made of brown genuine cow hide leather. 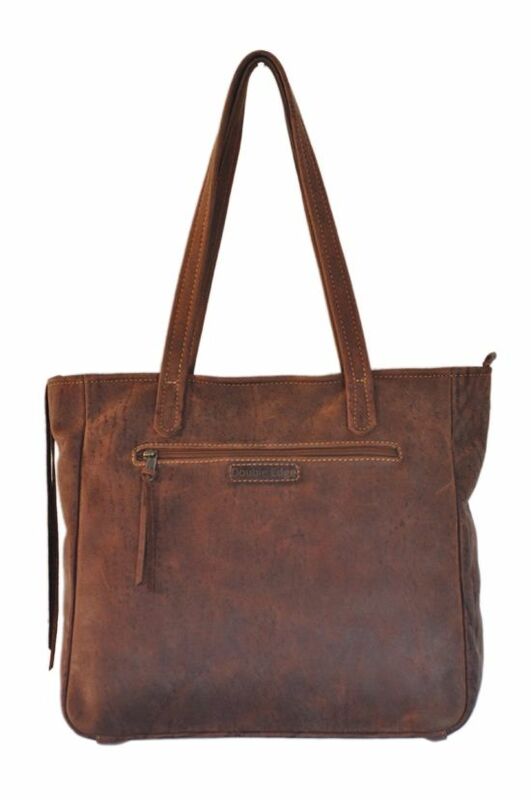 The bag is fully lined and has an inside zipped pocket and another inside pocket with two compartments. 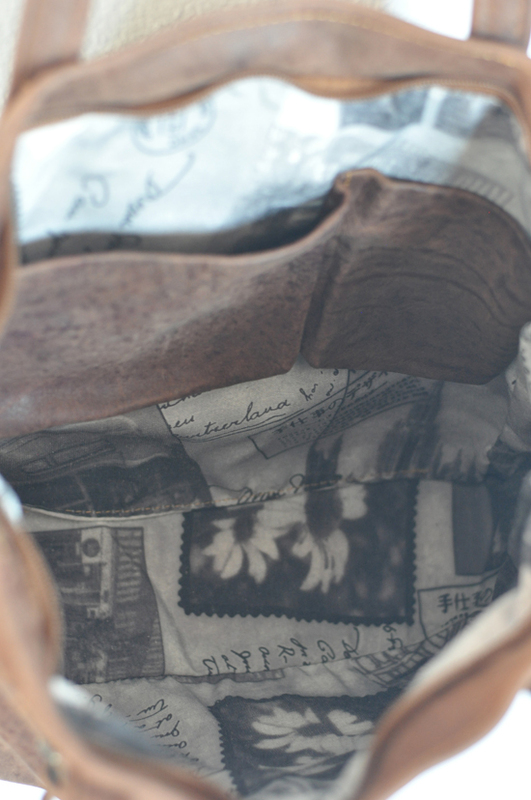 The bag has a zip enclosure to keep your goods safe. The base measures 33cm X 9cm and the height is 30cm.